The shock-waves could be felt well beyond the walls of the Labour Party conference. For the first time since before the advent of Tony Blair, a Labour leader had come up with a policy that was boldly egalitarian even, whisper it, vaguely socialist. 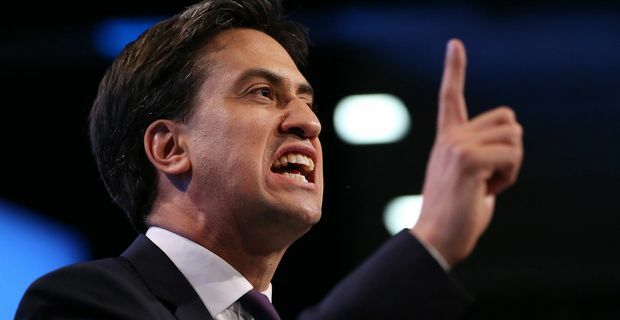 Ed Miliband's speech patterns might be as far from those of a rousing demagogue as it is possible to get, but his proposal to freeze power company bills for 20 months after the next election was pitched directly at the masses. "The system is broken and we are going to fix it," Miliband said. "They have been overcharging people for too long because of a market that doesn't work." He derided prime minister David Cameron for allowing the energy companies to make enormous profits while hiking bills for hard-pressed families. "David Cameron may be strong at standing up to the weak, but he is always weak when it comes to standing up to the strong," Miliband said. Unsurprisingly the energy companies reacted with consternation at the prospect of having their right to print money curtailed. Energy UK, a lobbying body representing energy firms that are largely foreign-owned said: "Freezing the bill may be superficially attractive, but it will also freeze the money to build new power stations, freeze the jobs of 600,000 people dependent on the energy industry and make the prospect of energy shortages a reality." Ian Peters, the head of residential energy at British Gas, went further, seeming to imply that Labour's policy could threaten energy supplies. "If we have no ability to control what we do in retail prices, and wholesale prices suddenly go up within a single year, that will threaten energy security." Labour, being New Labour, had obviously thoroughly tested the policy in advance with private polling. They found a huge majority in favour. "The policy is so popular it goes off the Richter scale," an insider briefed the Guardian.